Not all that long ago it seemed like we were under water. Now we need rain! 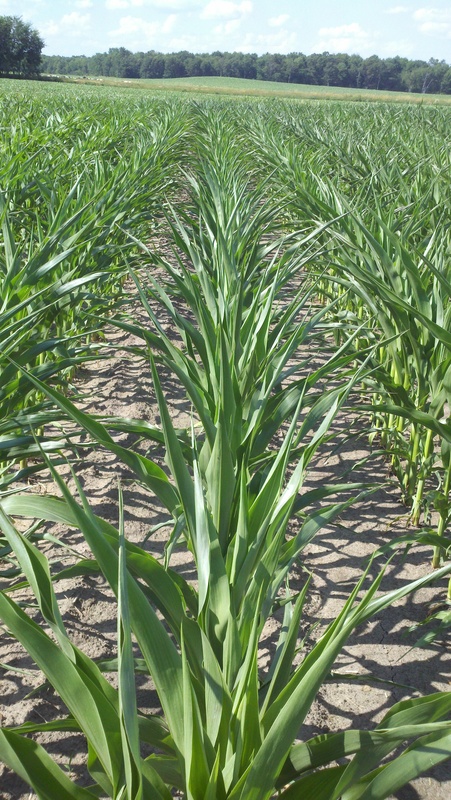 Corn rolls it’s leaves up to conserve water when stressed from not having enough moisture. We have a decent chance of getting some this weekend, so hopefully we will! This entry was posted in Agronomy. Bookmark the permalink.